Unlock Nokia 5100a now! A Nokia 5100a SIM Unlock Code removes the SIM lock attached to your phone allowing you to use your Nokia mobile on any GSM network worldwide. The Nokia Unlock Codes Cellfservices provides are manufacturer codes. This means that the manufacturer of your phone has pre-programmed these "subsidy passwords" prior to distributing the phones to the original network carrier. It's 100% safe and covered by our 100% Satisfaction Guarantee. Let's begin your Nokia Unlocking process by filling out the information below. *Certain international carriers may take longer. IMEI * 15 digits remaining. At least 15 digits are required for a valid IMEI number. By purchasing your Nokia 5100a Unlock Code, you will have the key to true wireless freedom. By unlocking your Nokia mobile phone, you will be able to use it on the GSM network of your choice. In addition, you will go one step further than reducing your roaming charges, you will be able to completely eliminate them combined with the use of a prepaid SIM card. 1.) Use your preferred mobile device on your favorite wireless network. 2.) Use your unlocked phone in combination with a prepaid SIM card to eliminate your roaming fees. 3.) Increase the resale value of your mobile device when or if you decide to sell it. The benefits are truly endless. Will my Nokia 5100a Unlock Code ever Expire? No! 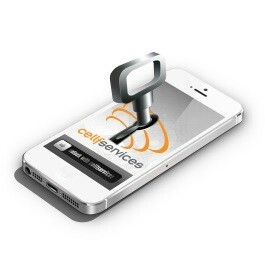 Cell phone unlocking is completely permanent. Once your phone is unlocked, it will never relock. The only time you will have to get another unlock code is if you switch your cellular device. Will my Unlock Code work on another phone? No. Nokia Unlock Codes are generated specific to the device's IMEI. Every GSM cell phone has a unique IMEI which is similar to the phone's serial number. Therefore, there is one unlock code per phone. For other Nokia Unlocking related questions, please visit our Frequently Asked Questions (FAQ) section or contact customer support.